The outdoor lifestyle is hugely popular in Australia, and for good reason. We have some of the best places to camp, hike, 4WD and fish on the planet, and with today’s fantastic products you can do it in comfort. The problem we all have is finding the right product for the job at a good price and with amazing customer service. I find that often you’ll get a business that sells cheap products, but it comes at a cost to their customer service and obligations. That is, until I found Snowys; an Australian owned and run camping and outdoors shop. They started in 1995 in Adelaide, and soon moved into a 2000m2 store within a kilometre of Adelaide’s CBD. Just a few months ago Snowys opened its second store in Brendale, Brisbane. Now, I can already here you saying ‘I don’t live in Adelaide or Brisbane!’! I hear you, and while I’d love to be able to visit their retail stores I have the next best option – their online store. If you head to https://www.snowys.com.au, you’ll see the massive range that they offer, and its all delivered to your door free of charge (or with a small fee if you are off the beaten track). What makes Snowys so fantastic? I don’t go out of my way to promote businesses unless I feel they really deserve it, and Snowys have done more than I could have hoped. I’ll be brutally honest here; competitive pricing is one of the first things I look for. I can’t stand businesses that rip people off. I’m happy to pay a fair price, but too many businesses stretch the friendship. I first stumbled across Snowys around 5 years ago, after a quick search online to look for a better price. I’d been walking through a local camping store in WA when I saw a self-inflating air mattress that looked absolutely amazing. At the time I’d been through a number of cheaper mattresses and was not sleeping well when camping, and often waking with a sore back. However, at $350 that the local camping store wanted, I decided the bad night’s sleep would have to continue! When I got home though, I looked the mattress up online and found Snowys selling it for $250. At 30% cheaper, with free delivery to my house, it was a no brainer. I refuse to buy anything locally anymore without first checking the pricing at Snowys online. 9 times out of 10 Snowys destroy their competitors pricing. Sometimes great pricing comes from selling substandard gear. The great thing about Snowys is the gear they sell is brand name, top quality gear. Think Blackwolf, Oztent, Coleman, Engel, Oztrail, Primus and more; all proven brands that are well known in the outdoor lifestyle. Not only are you backed up by Snowys, but by brands that have been around for many years. When you are looking for advice on what to buy, there’s nothing worse than getting bad information, or not being cared for properly. I’ve been shopping with Snowys now for several years, and regularly recommend them to friends and family because of their great customer service. You can ring them on the phone, visit their store or send them an email. I guarantee you’ll be impressed with their response. Facebook shows 714 reviews with an average of 4.9 stars; that’s unheard of! I live about 2700km away from Snowys, and yet everything I buy comes with free delivery. 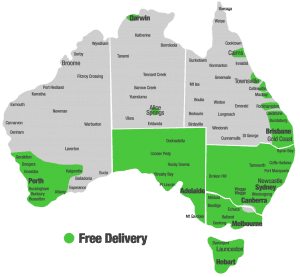 They deliver to the vast majority of Australia’s population completely free. If you are a bit off the beaten track there is a small fee, but it’s very reasonable. I’ve been contributing to the blog now for some time, and thoroughly enjoy reading the posts that are put up. You’ll find some brilliant information covering everything from trip reports to product reviews, 4WDing, hiking, camping and fishing. I’m really excited to announce a partnership between 4WDing Australia and Snowys. A lot of people I speak to would kill to know of a company that sells top quality camping and outdoor gear at amazing prices and with epic customer service to back it up, and I’ve volunteered to spread the word. So, next time you are looking for anything camping or outdoor related, take 5 minutes to jump on the Snowys website and compare what they offer. I guarantee you’ll be impressed. For now, follow them on Facebook at https://www.facebook.com/SnowysOutdoors/ and spread the word; Snowys are the best place in Australia to buy your camping and outdoor gear!